I created this ETL to fetch and save expensive execution plans daily. 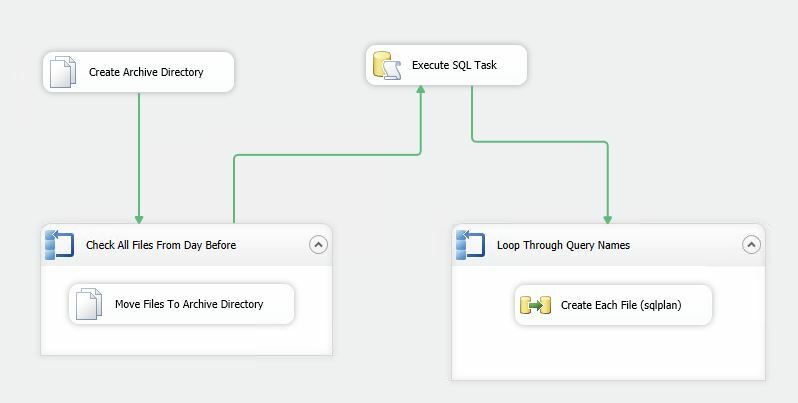 When ETL process runs again firstly it creates directory and copy all plans from previous day to that directory, and only after that fetch new execution plans. This way I can look old plan later if I like. 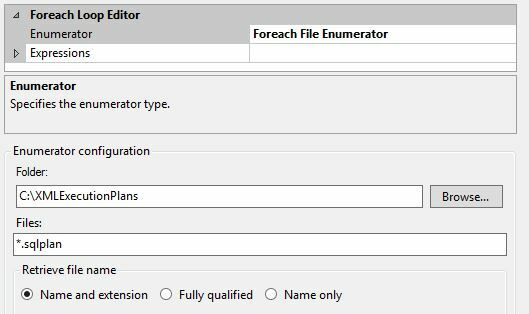 I am using File System Task to create new directory using the name of day before, to store my yesterday’s execution plans. 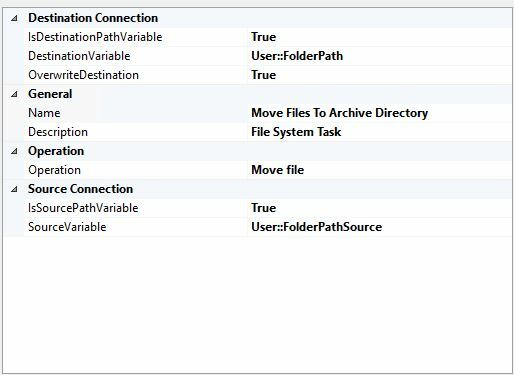 As you can see I am using variable FolderPath to create folder name with day before date. From the valuated value you can see the logic of the path. 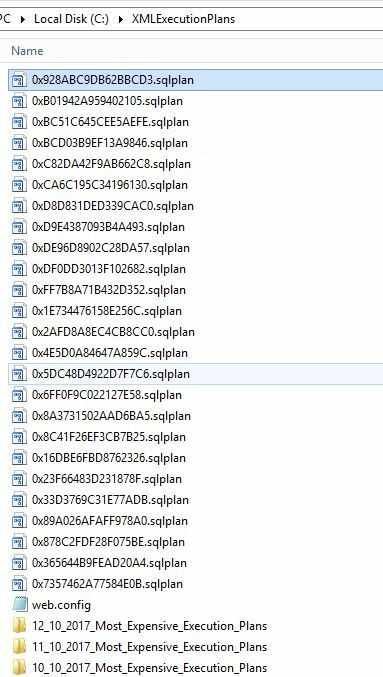 Next step is to move all execution plans to the newly created directory. 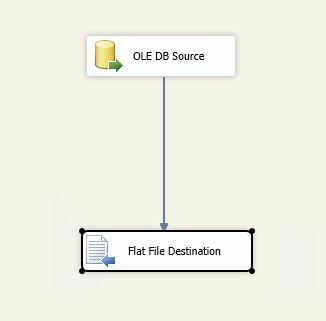 After that I am adding new file system task within loop container and adding those two variables, previously created FolderPath as an destination and source variable called FolderPathSource as an name of the file I want to move to the created directory. First part is over, now we have moved our old execution plans to the newly created directory. Now we need to choose new most expensive plans. 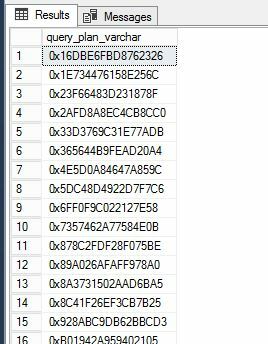 Finally, I have a list of query hashes and I want to fetch plans for them. I am adding another loop to be able to create execution plans. where CONVERT(varchar(max), epc. [query_hash], 1) =?